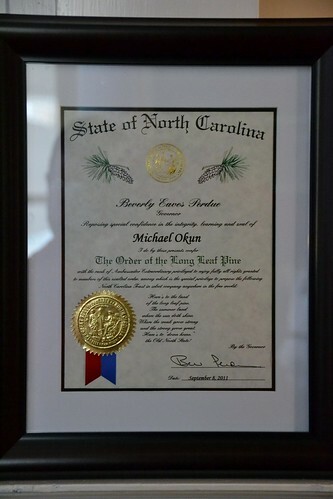 In September, Governor Bev Perdue inducted Mike Okun, our General Counsel, into the Order of the Long Leaf Pine. Created in the 1960s, the Order is the highest honor the state of North Carolina can bestow on one of her citizens. 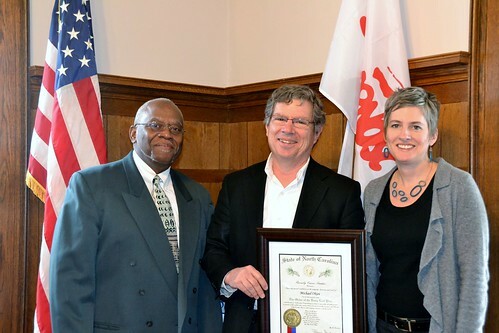 To our knowledge, Mike is the first labor leader to receive this prestigious recognition. A partner in the law firm of Patterson Harkavy LLP, Mike Okun has served as our General Counsel for more than two decades. Mike helps us cover the action at the North Carolina General Assembly, monitoring and tracking legislation that will impact the lives of all workers in North Carolina. Many among our membership know Mike from the course in labor law he teaches at our annual Carolina Labor School. Mike has also taught labor law at UNC Chapel Hill and Wake Forest University.